This bottled water is cleaner tasting than anything we have tried including the expensive imported water from around the world. The water is sodium free. It is filtered naturally through miles of limestone rock. That's what makes it different. Once you try it you will taste the difference. 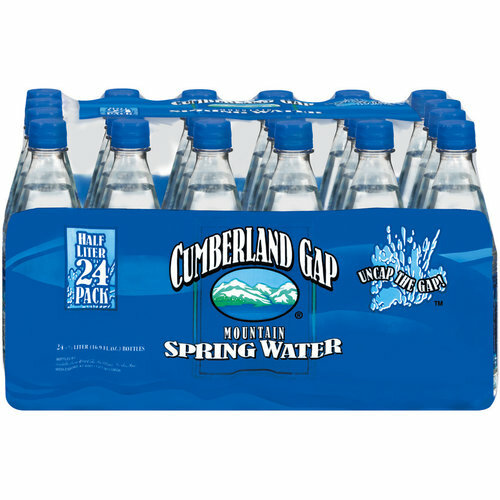 Cumberland Gap Mountain Spring Water Available at our store for pick up only. Sold in 24 packs of 16.9 ounce bottles. I-75 exit 76 Berea KY. Then 300 yards West on the left past Lee's Chicken. Click View Detail for more information.